Kat Arney meets volunteers trying to change the world with maps - they use their free time to map the world's unmapped places. Dr Kat Arney meets the people trying to change the world one map at a time. These are volunteers who use their free time to map the world's unmapped places and people. She sees how being on a map affects people's work, education and rights. 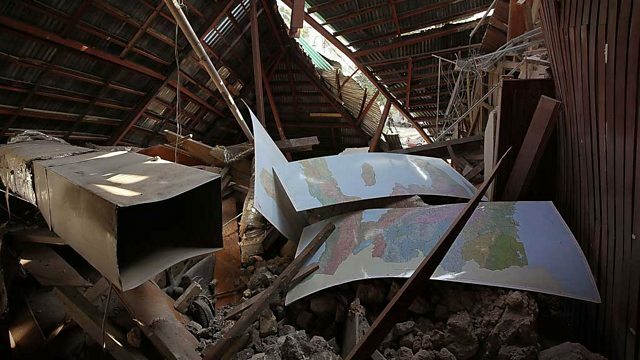 She hears how in extreme weather or after a natural disaster, mappers help us find those who have fallen off the maps. She also hears from crisis mappers, people who source any information they can after tragedies to document what is happening on the ground as fast as possible. There's also a project making a continual effort to make the most accurate physical map of the globe. Contributing could mean joining a mapping party in London. Or cycling around rural Uganda with a GPS device.